Computers are a lot safer than they used to be. This is quite obvious. However, there are so many situations in which people end up not being affected by anything. Why do you think that happens? It is simply because of the fact that they regularly go through maintenance tasks, which is what you always have to remember with Windows computers. Make sure that the following maintenance tasks are on your to-do list and perform them now in the event that you never did. This also includes malware and spyware scans. You should have a good antivirus program installed on your computer due to the fact that it will help you out a lot in protecting the files that you have stored on your hard disk. Weekly or even daily virus scans should be performed, based on how often you use your computer, browse the internet and download files. As you install and uninstall programs, your registry becomes cluttered. At the same time, the actions of some programs will do the same. It is really important that you at least go for a reg cleaner that is offered as a free download. They are really good and they will put your entire registry in order. This automatically means that your computer will run a lot faster than it does at the moment. We are quite sure that you want that to happen. This is the one action that most people never do. Regular computer use automatically means that files are copied and deleted. When a file is deleted, information still remains on the hard disk until it is overwritten. 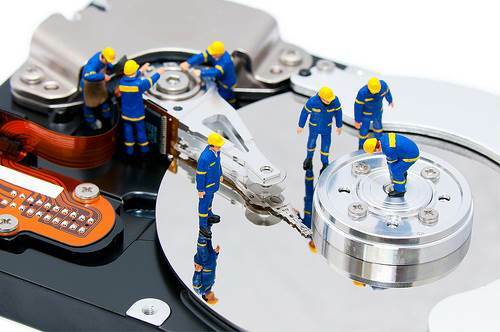 Unfortunately, most of the data that is written on a hard drive is not written in the order of the sectors. This basically means that part of a file will be placed in one place while other parts are placed somewhere else. Your files become fragmented. As this happens too much, the computer starts running slowly. You should always perform a monthly defragmentation of your entire hard disk. Keep in mind that this is a process that takes a lot of time. It is totally understandable that you will not have the time to do this constantly so if that is the case, at least make sure that you allow one night for this process once every 4 weeks. Just run the scan and let the software do its work while you sleep. You will notice visible speed increases.